Rene Descartes credited his success in philosophy, mathematics, and physics to the discovery of a universal method of inquiry, but he provided no systematic description of his method. 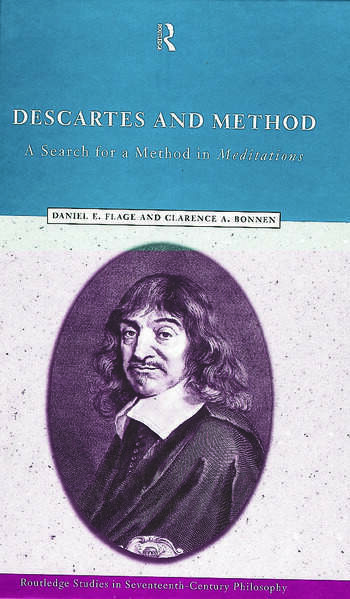 Descartes and Method carefully examines Descartes' scattered remarks on his application and puts forward a systematic account of his method with particular attention to the role it plays in the Meditations. Daniel E. Flage and Clarence A. Bonnen boldly and convincingly argue against the orthodox conception that Descartes had no method. Through a rigorous and thorough examination, Flage and Bonnen unearth and explain the role of the method of analysis in the Meditations. Descartes and Method is a ground-breaking book that is sure to make a considerable impact on the philosophy community. Anyone wishing to gain a new understanding of Descartes's Meditations should read this book.